There’s nothing worse than painful sunburn or exhaustion after spending too much time in the sun. Not only spoiling the fun, excess sun exposure increases your chances of damaging your skin and even developing skin cancer. 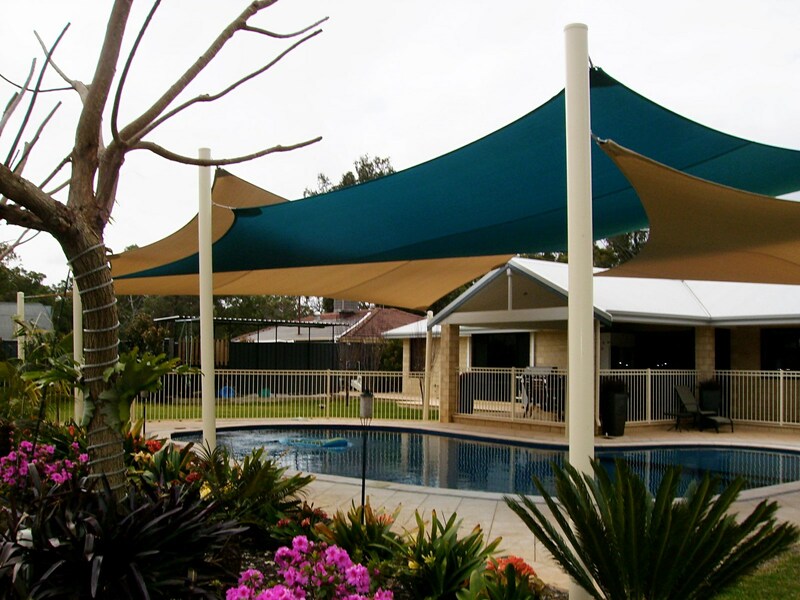 From afternoons spent in the pool to weekend barbeques, a shade sail is a great way to keep your family protected from the harmful rays of the sun. With a range of shade sails available on the market, choosing a high quality solution makes all the difference. Find out more about why quality shade sails matter and learn how you can choose the right options for your shade sails in Perth with tips from the professionals at Shade Experience. Effective shade can be a hard concept to both grasp and apply to your outdoor area. Most customers are under the assumption that all shade sails offer effective shading, however this isn’t always the case. Protection is constantly varying according to the angle of the sun; changing the amount of area covered properly. Sail shades must be designed and manufactured in sizes and fabrics suitable for your outdoor space, existing structures and weather conditions. The positioning of your shade sail needs to match up with all elements around it, providing comprehensive protection and practicality under all sun angles. We always recommend using large shade sails to provide effective shade at all times of the day – especially when the sun is at its strongest. How do I Choose the Right Shade Sail? When it comes to selecting the right shade sail, you need to consider shading and UV blocking capabilities. In order to maximise UV protection, a shade sail needs to have a tight and sturdy design to protect from all elements. If a shade sail is made from a sagging or stretchy fabric, it’s more likely to flap in strong winds, become loose and weaken. Over time, more of the sun’s harsh rays will come through – diminishing the protective properties of your shade sail. At Shade Experience, we provide specialised services and shade sail solutions to help you maximise your protection. We offer expert advice on our full range of colours and fabrics to find the right option for your space. What Features Does a Good Shade Sail Need? Premium cloth: high quality shade sails are made from premium cloth that offers strength and protection against the sun and harmful UV rays. Resistant and durable: for maximum durability, your shade sail needs to be resistant to water, fire and general wear and tear. Engineered for the elements: as permanent structures that stay up for months on end, choose a shade sail engineered to withstand storms and bad weather. Warranty: choose a shade sail backed by a manufacturer’s warranty to protect your investment and maximise the lifespan of your product. 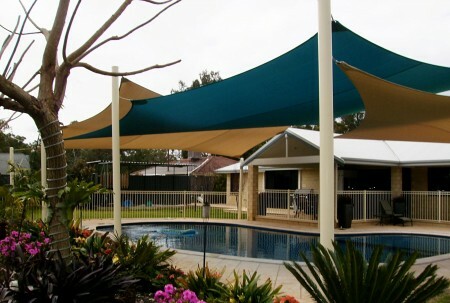 Get expert advice on shade sail products, materials and solutions in Perth. Chat with the experienced team at Shade Experience for custom design and manufacture services. Contact us today on (08) 9417 9988.